Ancient Therapies go as far back at times of Atlantis. Along with selfish souls there also lived people who were keenly connected the earth and it's healing elements. Atlantian times very much like current times consi sted of souls who lived in absolute selfishness. This contributed to the sinking of Atlantis. The pure souls were keenly aware of the laws of cause and effect. Many difficulties that people face these days are (according to ancient teachings) are direct result of actions. Ancient Therapies are based on the universal laws of cause and effect. As we change our mindset, the actions change dramatically. The changes are organic; no effort at all. What would seem to be difficult to do, actually looks and feels easy. Role of ancient therapies is take you through and beyond resistance. To embracing the elements that are absolutely essential to facilitating change. When mind and body work in harmony, life is richer. Enrichment in every area of life is the sole role of Ancient therapies. This is far outside the framework of modern therapies where all focus is placed on just one aspect of life or body functions. This particular ancient therapies facilitates surfacing and releasing emotions, memories and the blockages held in the cellular and soulular structure. When released through just the physical, mental and emotional, that is entrapment. The body falsely believes there was successful healing. It's essential we involve your soul as part of the healing. Many elements of dissatisfaction and diseases according to ancient healing principals are part of being disassociated from your soul. Your soul is here to be involved in life on earth. During your transition from the spirit world and the entry into this dimension, some of your being has been scrambled. To counteract that - there were systems in place to re-align you upon entry earth atmosphere. Part of that was done by preparing the woman for pregnancy. This was followed by specific way man and woman connecting to one another. Over time, this was lost. 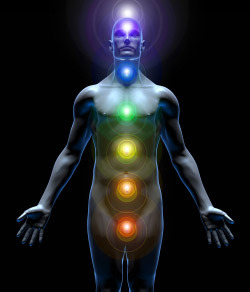 Ancient therapies incorporate your entry into the earth atmosphere pre conception. The process is a physical massage like any other we do connect with you on a deeper level that is affecting every area of your life including your body. The therapist is at all times paying attention to the subtle elements beneath the obvious. Through this process toxins and carcinogens are also released. The atomic cellular structure of the body is gradually altered, allowing the physical body to heal itself and become more finely tuned to higher frequencies. This is possibly the only therapy that would never become main-stream. For it to work it must have sacred space which cannot be reached in a regular spa or health retreat. The body work utilises pressure point massage in particular configurations and sequences to align the physical and the energetic bodies. It utilises working with the body as an approach to the soul. The source is treated rather than the symptom. In dealing with the causation it provides the opportunity of changing every aspect of manifestation in our lives, not just the physical mal alignment. This therapy approach to the SACRED part of you, the Spirit of you, yet part of your body. It is not religious, yet deeply spiritual. This is not something you toy with. It touches you and the practitioner on many levels. It is the vital force in the body, mind and spirit it connects the recipient to the core it is also a lifestyle that incorporates diet exercise and more. It is the foundation of our being that is awakened that continues to nourish us on a deeper level offering maximum benefits. The best way to describe it is, From the deepest pressure to the gentlest touch. It’s a combination of movements, selected to suit the individual needs, with the aim of releasing pain, stress, stiffness, and chronic discomfort, emotional blockages caused by posture occupational and lifestyle demands, injury, surgery and life experiences. After you’ve made the connection. After your session; body mind spirit soul connection therapy, you’ll feel relaxed nurtured energised and you’ll be able to experience life through a new enhanced level of awareness and sensitivity. When you’re living in harmony with yourself, you have better things on your mind. How come we don’t hear about it? It was only taught in one place in the world.